Widely regarded as one of the best Phantoms in the 25-year-history of Andrew Lloyd Webber's iconic musical, Iranian-born Canadian singer Ramin Karimloo became 2012's West End star to make the transition to the pop charts with his self-titled first major-label album. Unlike his little-known 2004 Within the Six Square Inch debut, its 12 tracks largely eschew the show tunes that he had become synonymous with, with only the signature numbers from Phantom of the Opera ("Music of the Night") and its sequel, Love Never Dies ("Til I Hear You Sing") representing the world of musical theater, alongside a track by Spring Awakening's Duncan Sheik ("Song of the Human Heart") originally intended for the new adaptation of The Nightingale. 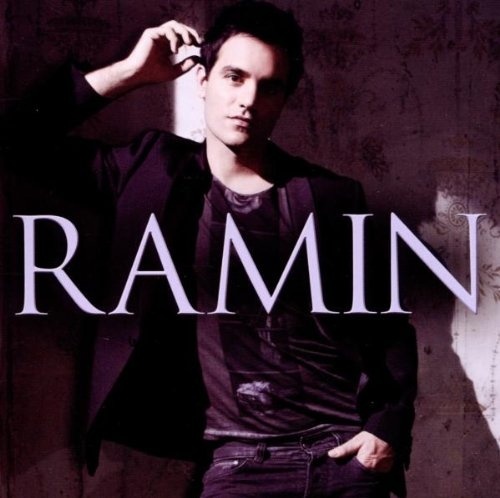 Instead, like recent efforts from fellow crossover stars Lee Mead and John Barrowman, Ramin is a more contemporary affair which matches his unashamedly theatrical vocals with a soaring Take That-esque pop/rock sound, whether it's the string-soaked balladry of "Eyes of a Child," the Ryan Tedder-penned melancholy of "Coming Home," or the indie-lite opener "Show Me Light." While there are occasions when Ramin strives for something a little less predictable, such as a surprisingly bold cover of Muse's "Guiding Light" and the ABC-inspired new wave pop of "Broken Home," the majority of the record is hampered by Tom Nichols' over-polished production, which turns the heartfelt acoustics of Jump Little Children's "Cathedrals" into an overwrought orchestral power ballad, and somehow manages to drown Bryan Adams' "Everything I Do (I Do It for You)" in even more unadulterated schmaltz. Fans of West End pop will no doubt enjoy the pomp and grandeur, but there's little here to suggest Ramin will make as convincing a pop star as he is a leading man.